This was a brutally hot and humid day. 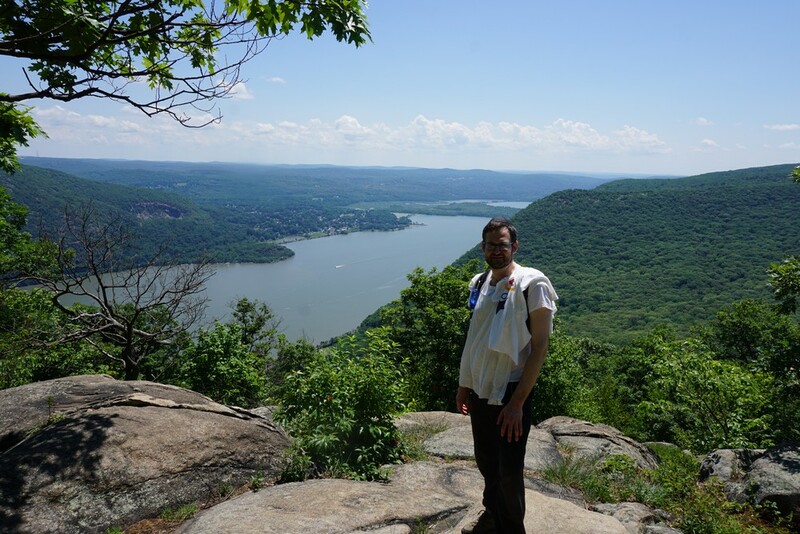 In hindsight this strenuous hike was not the best choice for a day like this one. 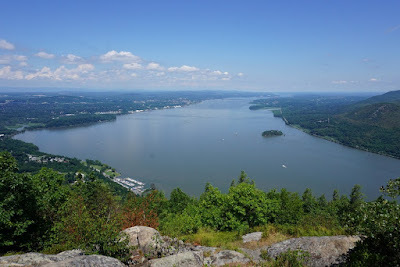 We did want a good workout, but this really pushed us to the limit. 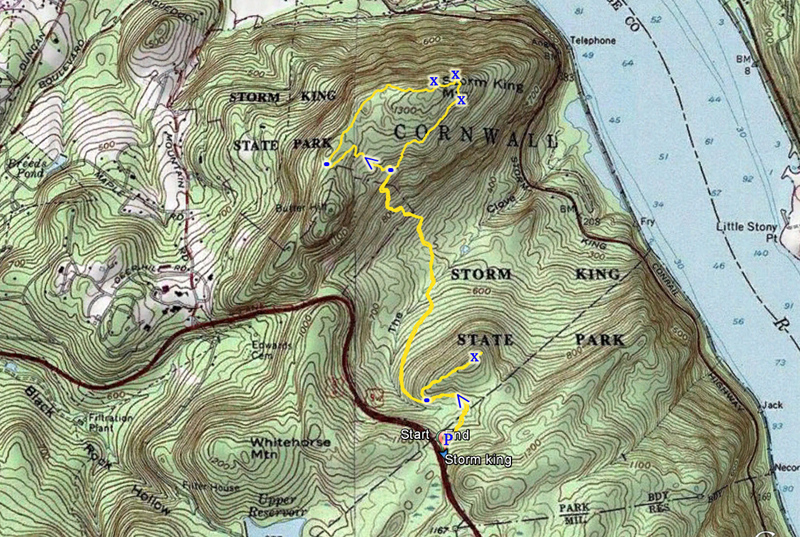 We parked at the Bobcat Trail trailhead parking off Route 9W near North Point. 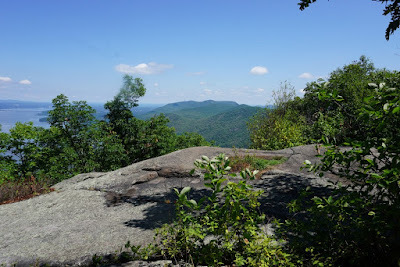 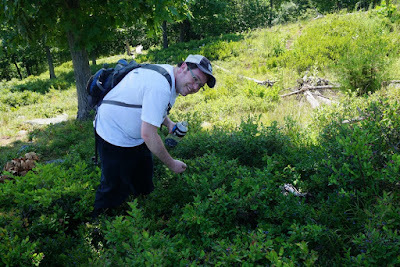 We took the short Bobcat Trail to the end at the Howell Trail, and climbed up to North Point. This area is full of good views, and lacks tree cover. 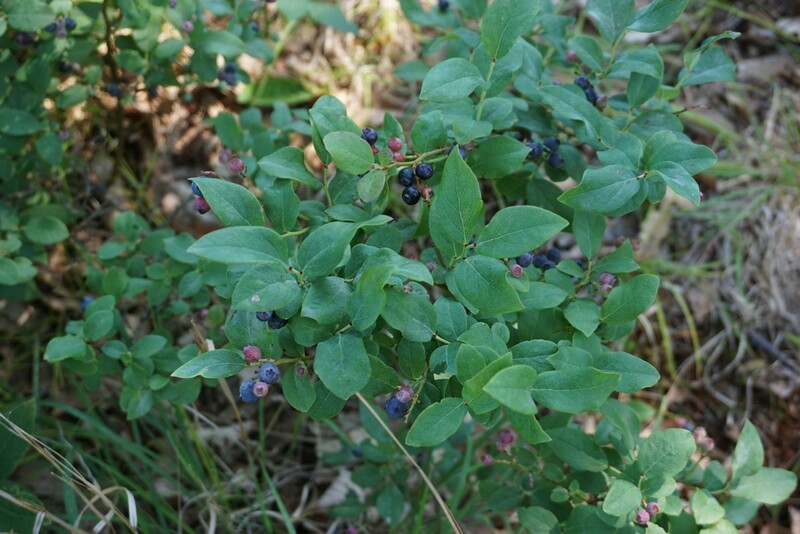 Instead, there is a huge blueberry patch here in this was just the beginning of the blueberry season. 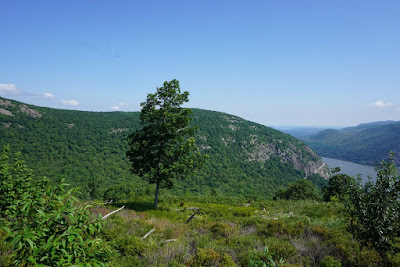 After reaching the top of North Point and the view before the descent, we turned around and went back down from where we came from, descending along the Howell Trail into the valley, crossing it over, and then ascending up Storm King. 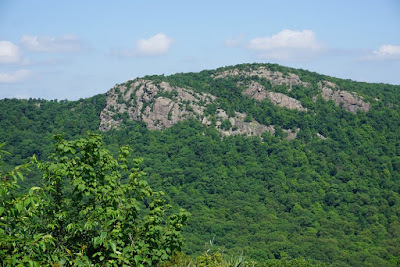 This part up climbs the mountain and is quite difficult. 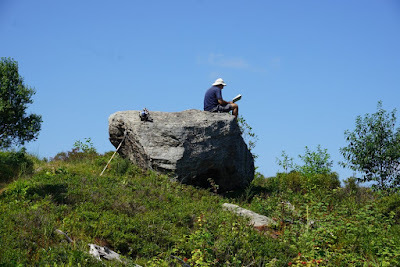 We went off the Howell Trail to the Stillman trail, which kind of plateaus at a certain with only minimal climbing remaining, this giving us some good relief. 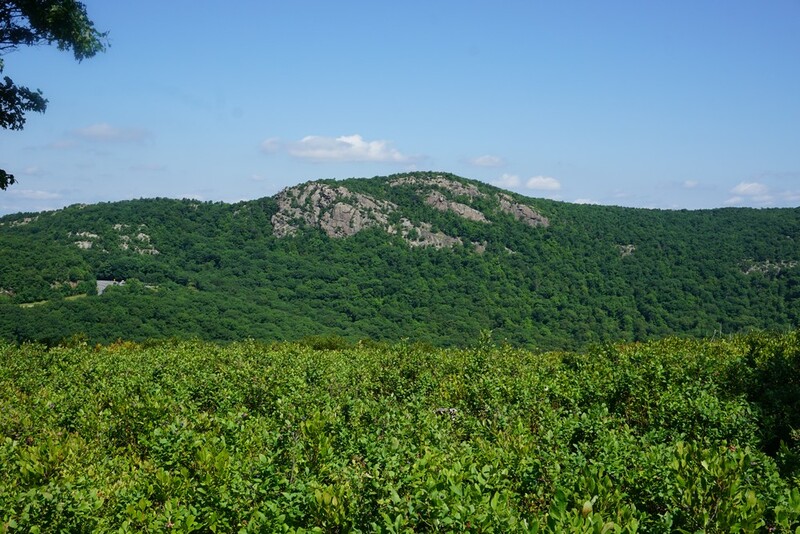 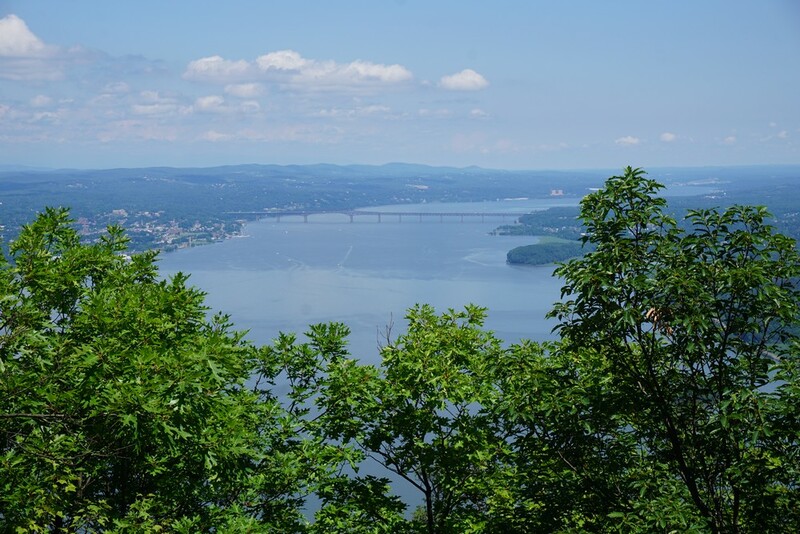 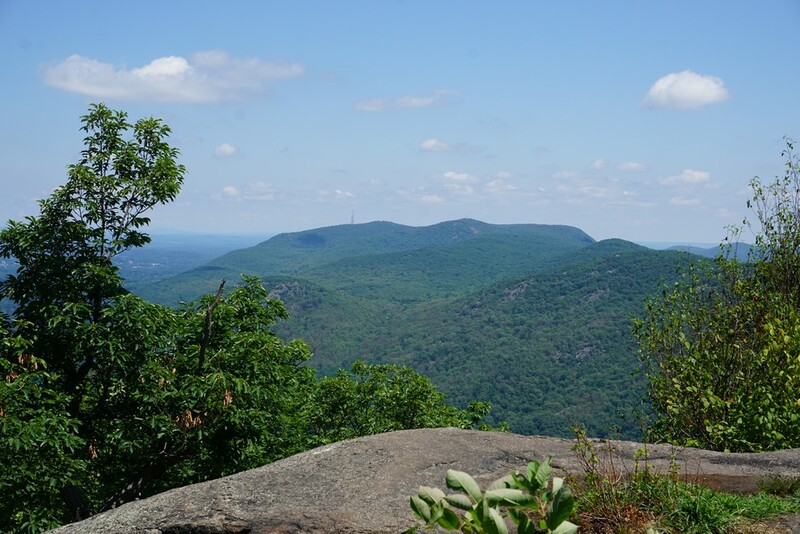 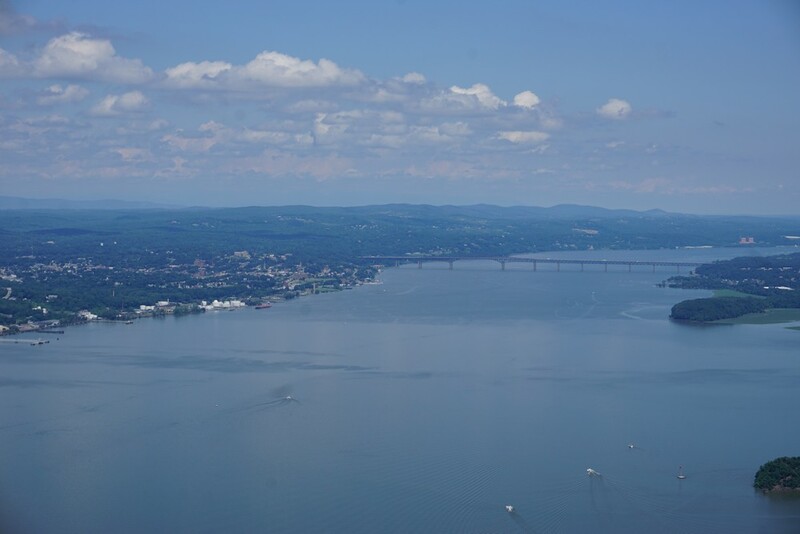 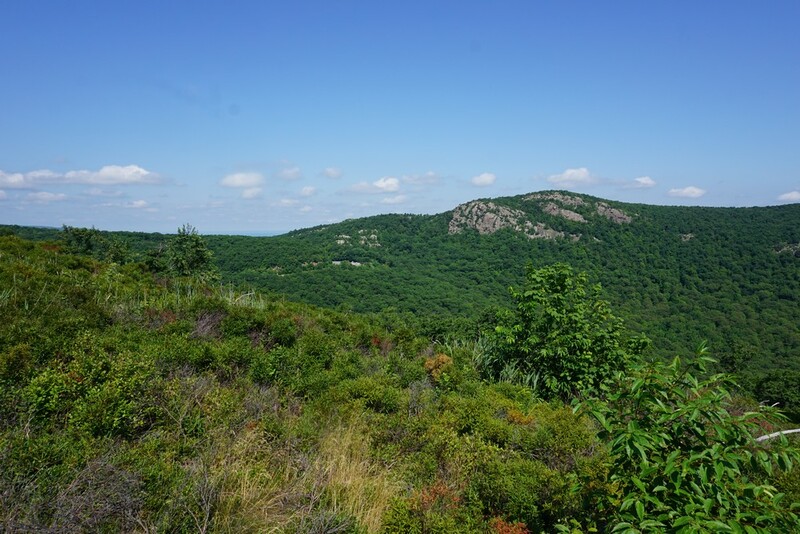 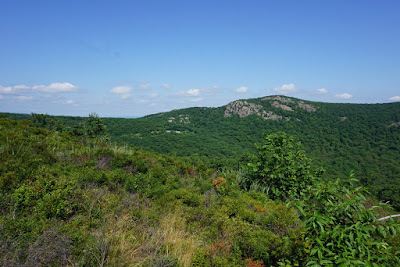 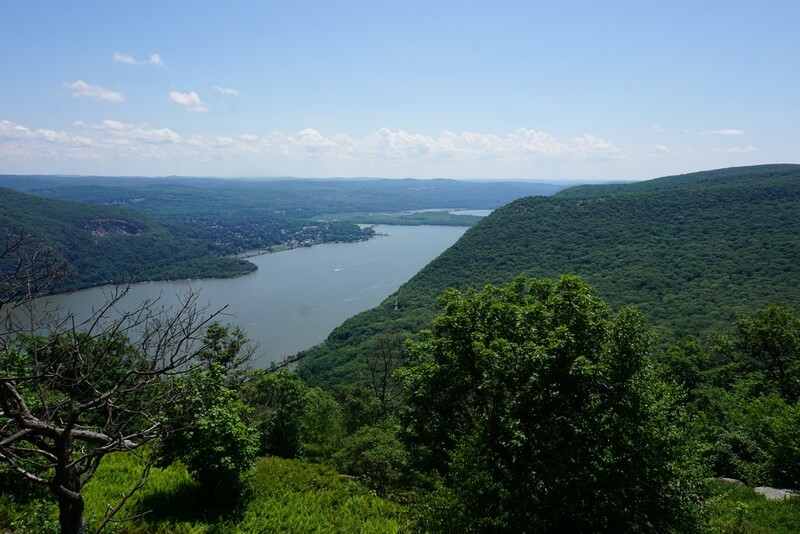 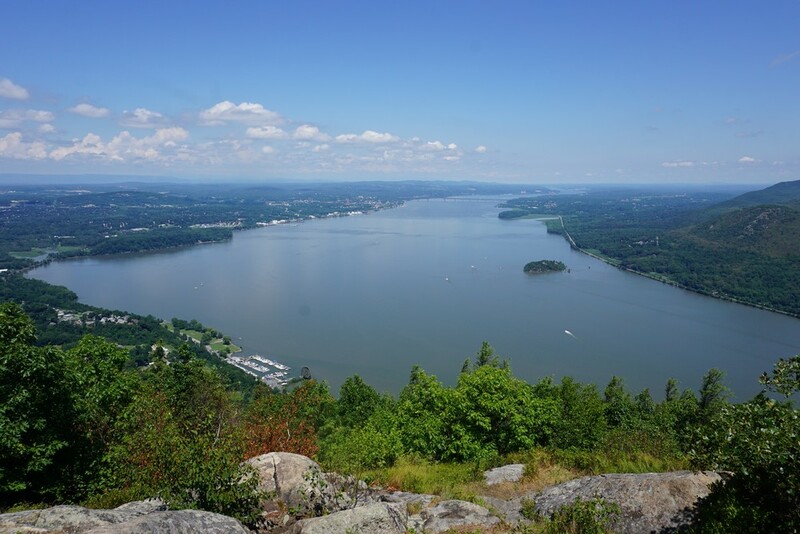 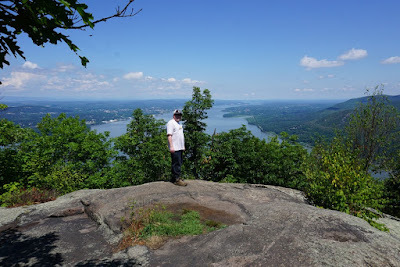 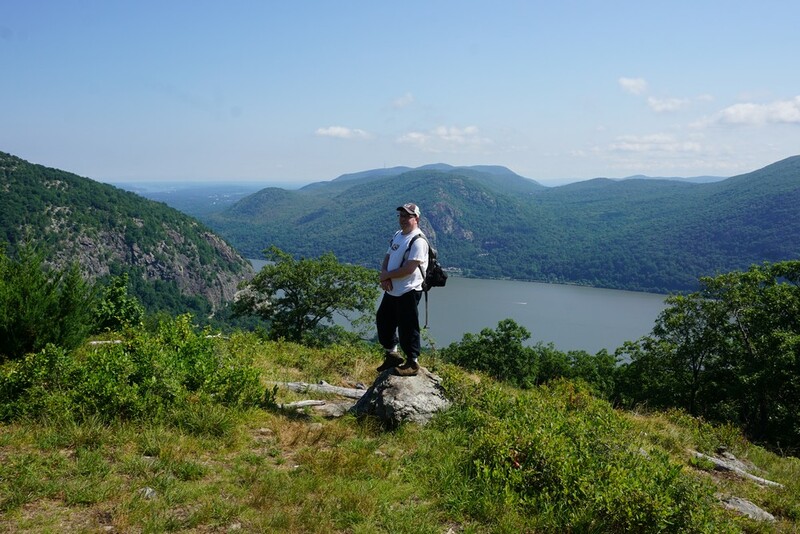 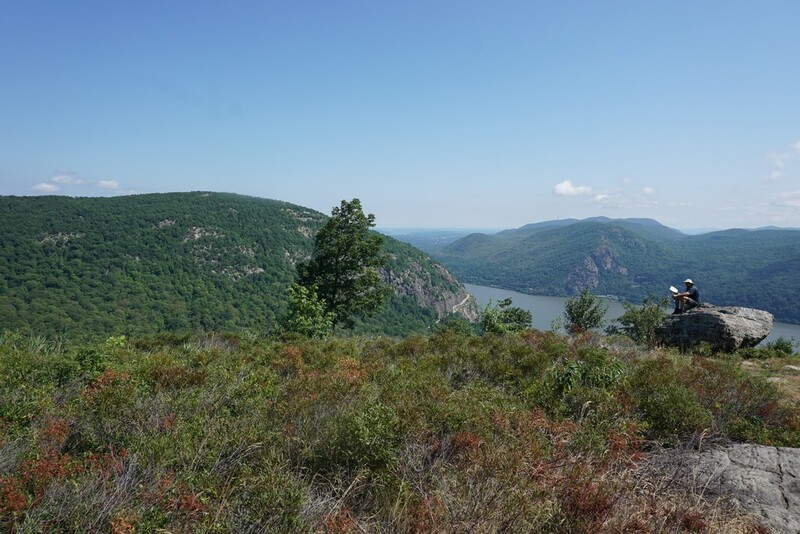 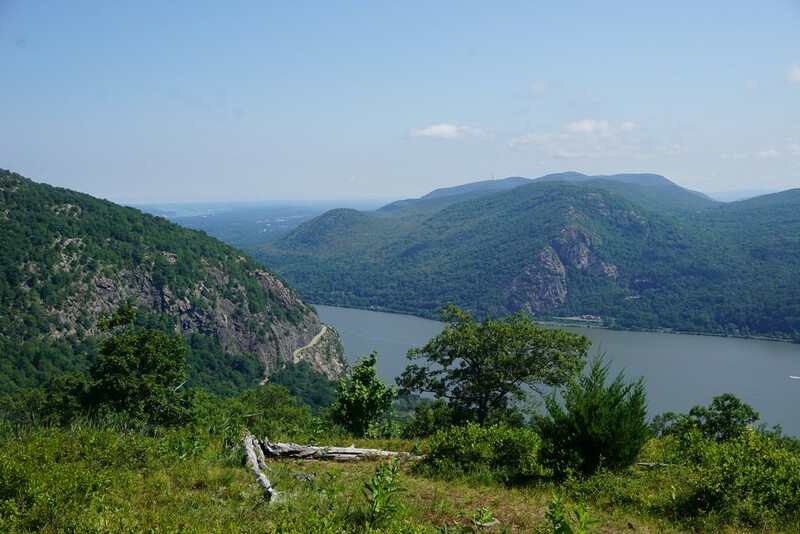 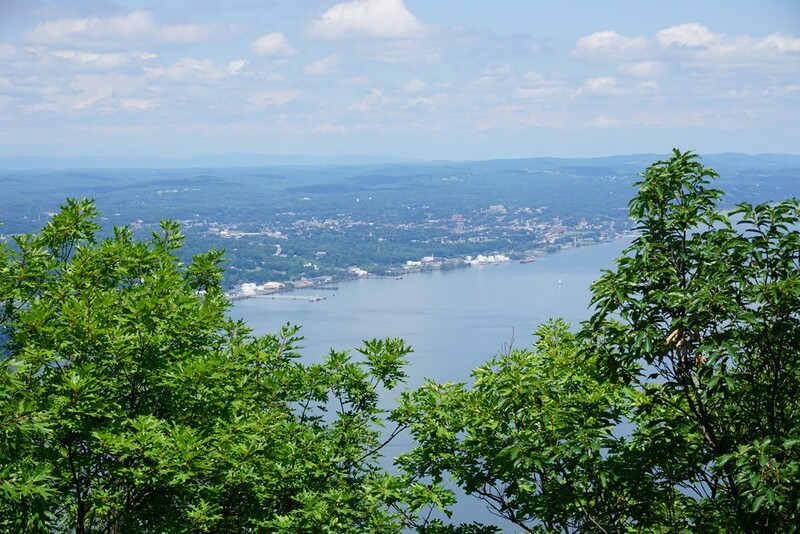 We continued along the Stillman Trail to the summit view, which faces north towards the Hudson River and the Newburgh-Beacon Bridge. We then met up with the Stillman Trail again, took it down towards the valley, and continued back along the same route we came, via the Bobcat Trail to the parking area. View of Hudson River from Storm King.